For The Catholic Church, A Year Of Unending Clergy Abuse Revelations The Catholic Church has been roiled by revelations about clergy abuse in dioceses across the country in 2018. It began with a Pennsylvania grand jury report in August that detailed decades of abuse. 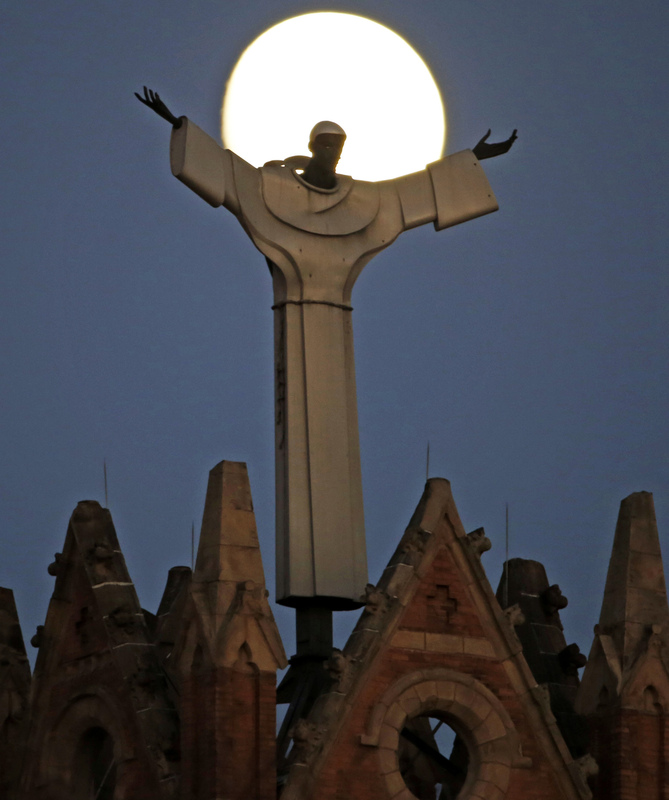 The moon rises behind a church in the Pittsburgh Diocese, one of six dioceses mentioned in the massive report on sexual abuse among Pennsylvania clergy. 2018 has been an explosive year for the Catholic Church, with renewed revelations of clergy sexual abuse and cover up from one coast to the other. Dioceses across the country continue to deal with the fallout of a stunning grand jury report that detailed decades of abuse in Pennsylvania. For some parishioners and reform advocates, the church as a whole isn't taking the crisis seriously enough. I just cannot be part of this anymore. I just walked away from it, and I don't feel like I can ever go back to it. Growing up in Erie, Pa., Pennock attended Catholic grade school, Catholic high school, and mass every week. "There was a series of priests that we went through very quickly," she said. "There were rumors about what actually happened. Nothing ever much came to light about that." In August, the grand jury report was released, detailing decades worth of widespread childhood sexual abuse and cover ups in dioceses across Pennsylvania. When Pennock read through it, she saw some familiar names. One of her childhood pastors and a deacon who taught at her school both faced accusations of sexual misconduct. 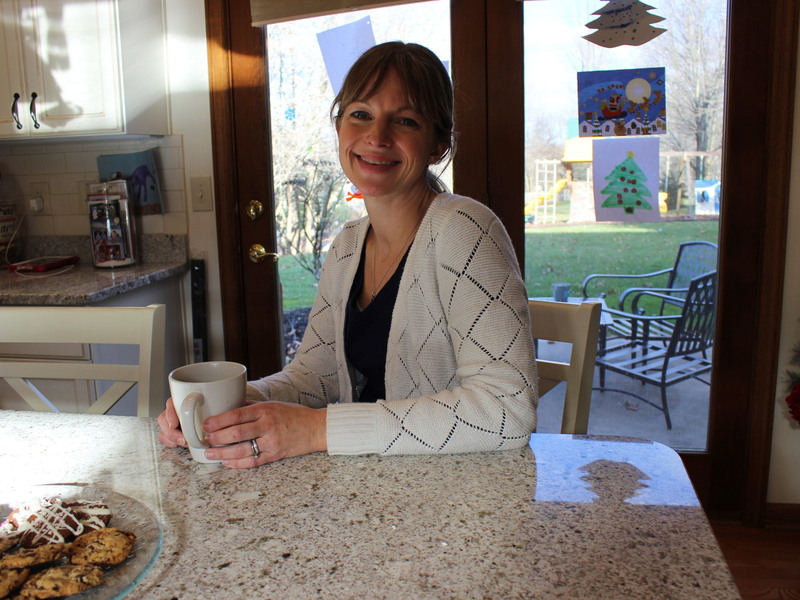 Stephanie Pennock at home in Pittsburgh. Pennock says she will not be returning to her Catholic church after revelations of decades of clergy abuse and cover ups. "That was the moment that I said you know what, enough is enough, and I cannot be part of it," Pennock said. "I cannot ever put money in collection basket again. I just cannot be part of this anymore. I just walked away from it, and I don't feel like I can ever go back to it." Like many dioceses across the country, mass attendance in Pittsburgh is declining. While Pittsburgh Bishop David Zubik doesn't face any accusations of abuse himself, he's named hundreds of times in the grand jury report. It alleges he played a role in relocating so-called 'predator priests' to other parishes. 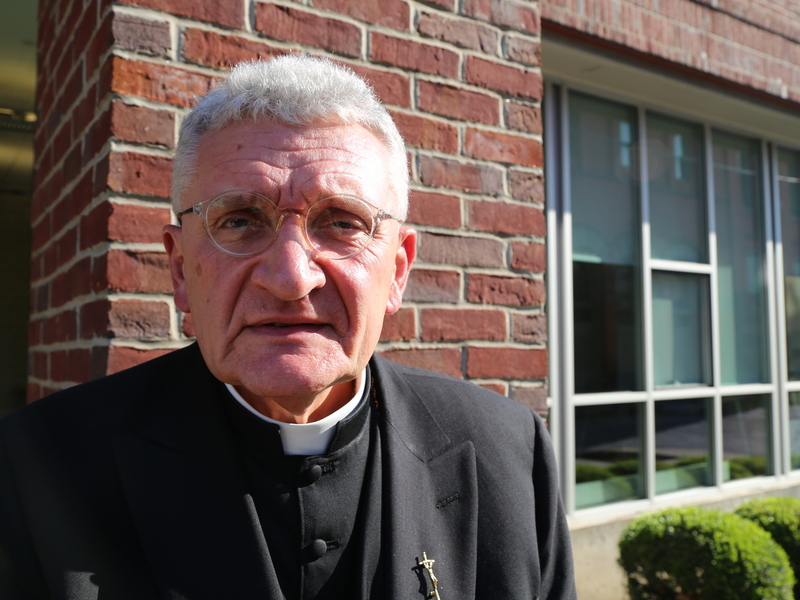 "As I have said many times from my heart, the protection of children and the healing of victims truly is the priority of the Diocese of Pittsburgh," Zubik said at a media conference this month. He went on to announce that the diocese was voluntarily instituting a compensation fund to pay settlements to victims of clergy sexual assault. "We have continually sought to strengthen and improve our policies over the course of the last thirty years. This effort will never be finished until the scourge of child sexual abuse is eradicated from our society," said Zubik. Bishop David Zubik of Pittsburgh. The bishop was not accused of abuse, but he was named in the grand jury report for playing a role in relocating abusive priests to other parishes. For bishopAccountability.org founder Terry McKiernan, apologies, payouts and prevention efforts aren't enough. He said leaders across the Catholic Church have hoped for years that the sexual abuse scandal would be considered a thing of the past. "They didn't want that history to be examined," said McKiernan. "They wanted it to be left in the archives and forgotten. What they learned in Pennsylvania this year is that that's not going to happen." After the Boston abuse scandal in 2002, the Vatican approved a zero tolerance policy for clergy who abuse children. But McKiernan said there still aren't any mechanisms in place to hold bishops accountable, or those who cover up abuse. They still report directly to the Pope. U.S. Bishops were expecting to vote on new accountability measures at a gathering in November, but the Pope ordered the effort to be delayed until February. Either way, McKiernan is skeptical of internal accountability efforts. He's pushing for more external pressure, like the investigation and report by the Illinois Attorney General this month detailing allegations against at least 500 priests the church had failed to disclose earlier. "We're seeing forces outside the church compelling and really shaming the church into behaving accountably and behaving at least somewhat transparently," said McKiernan. Despite the scandal, pews across the U.S. aren't empty. Pittsburgh-area resident Alicia Davin continues to attend mass, despite her criticism of the church's actions. The 37 year-old said she's disturbed by recent revelations, but that guilty individuals don't have power over her faith, or her worship. "For me, discontinuing going to church is not going to help me find the justice and help me figure out what can be done," said Davin. She said for the church to move forward, it's important to clean house — including Bishop Zubik. "It has become pretty evident over now the past couple of months that he should probably resign and step down," she said. Davin said she's more skeptical than optimistic that anything significant will come from the worldwide gathering of Catholic leadership at the Vatican in February. "There's recognition I believe, something has to happen or there's going to be more to reckon with. Something has to be said, something has to be done, something has to come from the Pope," said Davin. "So is that what's going to happen in February? Let's see." Davin said another fumbled response could plunge the church into an even deeper crisis.